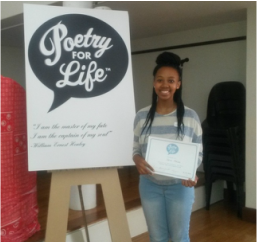 Poetry For Life - Palesa - The Cape Academy of Maths, Science & Technology: Centre of Excellence! ... "Praestantia"
On 14 March 2015 our school participated in the regional Poetry for life Competition. There are 25 schools in the Western Cape that have entered this competition. 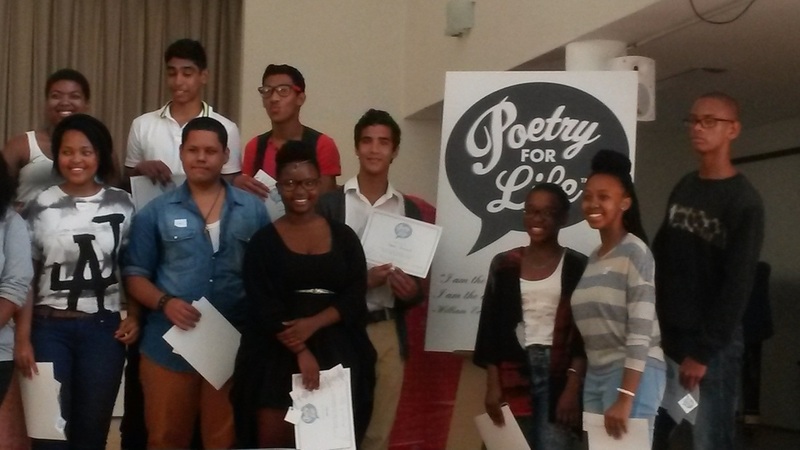 This is the first time our school entered a poetry competition. We competed against nine schools. Learners had to choose from a prescribed list of poems. Each learner learnt and recited an International poem in the first round, then a South African poem of their choice in the second round. South African Poem: Could you not write otherwise – Alan Paton. One for participation and the second as winner for the regional round. She is now through to the semi-finals.